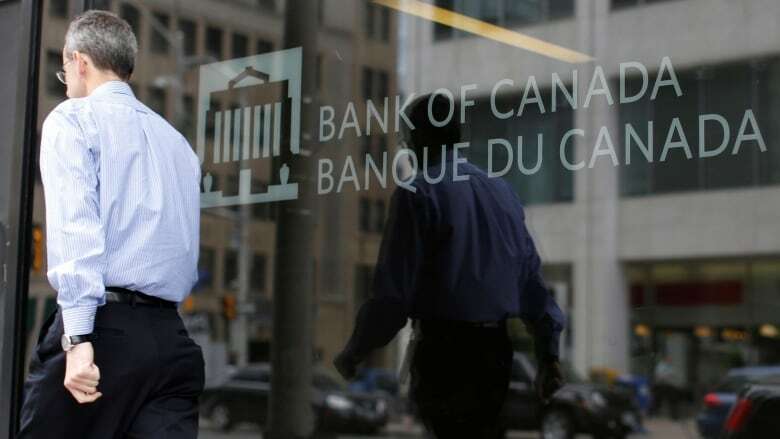 The Bank of Canada is widely expected to hike its benchmark interest rate for the third time in a year this morning. But what happens after that is anyone's guess. The Bank of Canada is widely expected to hike its benchmark interest rate for the third time in a year this morning. After staying on the sidelines for the better part of a decade following the financial crisis, Canada's central bank raised its key interest rate twice last year, to one per cent. The bank's rate is important because it filters down to affect the rates that Canadians get from banks and other lenders for things like mortgages, GICs and savings accounts. After a slew of data suggesting Canada's economy is growing solidly, and the job market is positively booming, experts say the central bank is likely to raise its key lending rate by 25 points to 1.25 per cent — a level not seen since 2009. Traders who invest in a financial instrument known as an overnight index swap reckon there's a better than 90 per cent chance of a rate hike on Wednesday. But what happens after that is anyone's guess. "The bank faces a tricky balancing act," said Karl Schamotta, a market strategist with foreign exchange firm Cambridge Global Payments in Toronto. "It must raise rates to head off potential inflationary problems and slow growth in household debt, but at the same time, sustain existing asset prices and avoid a consumption crunch that could derail the economy." Markets are expecting as many as three 25-point rate hikes this year. To debt-laden Canadians, even tiny hikes will add up fast. A homeowner today with a $300,000 25-year mortgage can easily get a variable rate starting at three per cent, costing them $1,419.74 a month. But if their lender hikes their rate three times to keep pace with the Bank of Canada, that monthly payment rises to $1,537.67 — an extra $100 a month. And make no mistake: If the central bank hikes its lending rate, the big banks will follow suit. Expect variable-rate loans to go up. And although fixed-rate mortgages are more tied to what's happening in the bond market than to the central bank's rate, it's worth noting that four of Canada's five biggest lenders raised their posted rates for a five-year fixed-rate loan in recent days. Economists, too, are near unanimous in their view that we should expect a rate hike today. But that doesn't mean Canadians should expect lending rates to rise as quickly or as dramatically as they once fell. "A rate hike does not necessarily mean that the bank will embark on a rapid tightening cycle," Toronto-Dominion Bank economist Dina Ignjatovic said. "The bank must be careful in how quickly it raises so as to not derail the economy." It's certainly not hard to come up with reasons for why caution may be the preferred route for the central bank, and the biggest reason can be summed up with one word: NAFTA. Uncertainty over the North American Free Trade Agreement is a huge black cloud hanging over Canada's economy at the moment, as no less an authority than the president of the United States has repeatedly threatened to tear up the agreement and deal a potential body blow to Canadian exports. But some think threats to tear up NAFTA will prove to be idle. "Trump's bark is much worse than his bite," said Ranko Berich, head analyst at commercial foreign exchange specialist Monex Canada. Berich notes that Trump has repeatedly backed away from his more inflammatory campaign promises, including his pledge to start a trade war with China, and to force Mexico to pay for a border wall. He expects the same will happen with his NAFTA threat. "A unilateral NAFTA repeal would be an extraordinary act of economic self-harm given the level of trade and supply chain integration that depends on the agreement," he said. At the very least, the drama around NAFTA may give the central bank some pause, Bank of Montreal economist Robert Kavcic said. "This week's NAFTA headlines about higher odds of a U.S. exit might have sparked increased concern at the bank, perhaps prompting at least some second thoughts before hiking," he said. "While the Bank of Canada has said they will not allow uncertainties to paralyze policy-making, we'll see if their actions match their words."